This work lets you find out where Jacqueline likes to write and Nick Sharratt likes to draw, and then record where you go to be creative, and what inspires you. Write down what makes 2010 such an exciting year: your favourite music, TV shows and films, your resolutions, your predictions and your secrets. 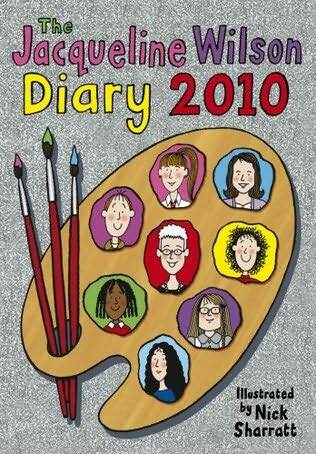 Plus there's loads of space for remembering birthdays, holidays and your friends' phone numbers and addresses, all decorated with pictures of your favourite Jacqueline Wilson characters and wonderful quotes from her bestselling books!